Keep lips soft, plump and kissable with these four easy steps. If you want protection from the sun, be sure to pick a balm with an SPF of 30 or higher. If you have sensitive skin, avoid parabens and fragrance, which can be irritating. If you get chapped lips, avoid menthol balms and super-aromatic ingredients as these can actually dry your lips more. Look for the following ingredients for supreme moisture, for example: glycerin, mineral oil, lanolin and beeswax. Many of us already exfoliate our faces and bodies – but you need to exfoliate your lips too if you want to keep them smooth and flake free. Try using a dab of sugar and honey rubbed gently in small circles on your lips to slough away dead skin. Not only will this eliminate flakes, exfoliating can help stimulate new collagen which keeps your lips looking plump and youthful. If you want a long-term action plan to increase the volume of your lips, you will need to speak to a dermatologist. A combination therapy that involves fillers and Botox can make for a more natural-looking result. 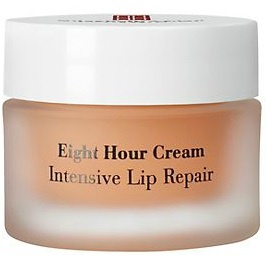 Alternatively if you’re looking for something less extreme, try a lip-plumping gloss or balm that contains active ingredients to boost circulation for fuller looking lips. Aside from the obvious health benefits that come with quitting smoking, it will improve the look of your lips too. Smoking accelerates skin cell damage, leading to thinner, more lined lips; so next time you go to light up – skip the ciggie and apply a layer of balm instead.